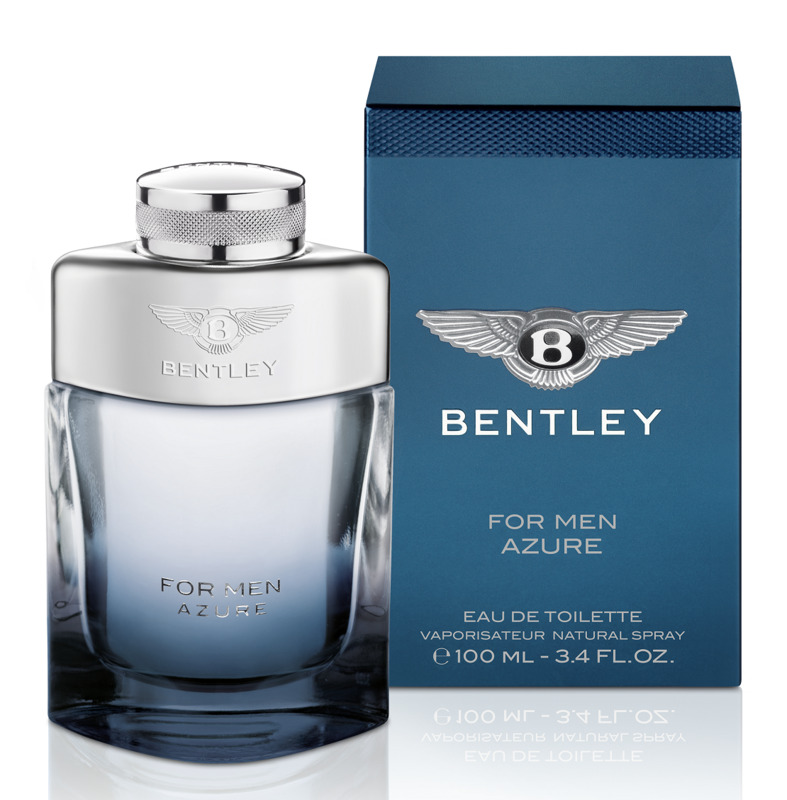 Bentley for Men Azure is a perfume by Bentley for men and was released in 2014. The scent is fresh-synthetic. It is being marketed by Lalique Group / Art & Fragrance. "Azure is ghastly!"... I'm just wondering what all the hype is around Azure. If you're anything like me, stand out from the crowd. Azure is magic, Azure is king, Azure is unique, Azure is a surprising compliment getter, Azure is not super hyped, Azure is not for everyone. Do you really think that Azure is just like the million other colognes you encounter on a daily basis at work, gym, or street? Maybe, yet there's nothing wrong with that. Azure just smells lush! All the aquatic ones you like are the same anyway, and they all end up smelling like seaweed, marine, and calone. This is clean and happy and bright... and it's just lush!" Azure is quite a relatively new fragrance inspired by seaside air and a relaxing ride along the shore. Azure is the color of the bottle, which vary from pale gray to blue. It may be presented like an aquatic, but no. This is far classier than your typical Nautica, which I adore. It gives an aura of mature cleanliness, with just enough of a fruity touch to keep it fun and interesting. Such fragrances tend to be synthetic, but I think this is much more natural smelling. The opening of Azure is fresh and salty, with zesty citrus fruits. Juicy pineapple and lemon are the most noticeable, and the effect is rather pleasant, boasting none of the acidic or tart qualities that both fruits are so well-known for. Herbal aroma of violet leaf, a staple for any semi-aquatic, semi-fougere fragrance, adds just a touch of sweet greenery to the opening, but for the most part, all is fresh, oceanic and in keeping with blue tones. Perhaps the most enjoyable element of the opening is the salty undercurrent that it boasts. The heart emphasizes the spicy pepper, with a tinge of aromatic lavender and sage leaves surrounded by a spectacular fragrant tea. Not a nice yet overworked green tea accord, rather a Darjeeling in its white variant. And pineapple is still there lingering in the background. As it moves into the dry down, Azure drops a lot of its initial weight and becomes much thinner and more astringent. The pleasing sea air aspect softens and what is left is a tinny wood effect that is a bit discordant amongst the richer hints of tonka bean and cashmere wood, all sweetened by orcanox synthetic molecule, equivalent to ambrox and ambroxan, all reproducing the ambergris. It’s at this point that the scent really loses its identity and settles into a generic fresh male state that can be found in so many other colognes of its kind. Miserably, here I must agree with the crowd, even though Azure is flat out gorgeous to me, a combination of notes that are both new and familiar at the same time. 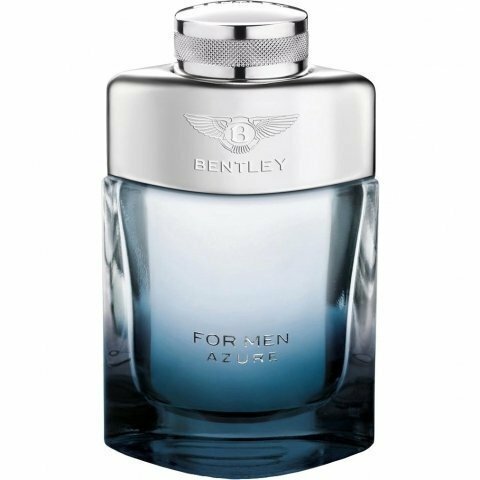 This is a distinct scent for business, the office, a warm afternoon or semi-casual evening affair, which suits late spring and full summer seasons. It is not quite beastly but considering the style of fragrance, it can be considered a beast among its peers so to speak. I got nearly a day wearing it and it projects well throughout as I receive many compliments when I put this on. Once again, is Azure really ghastly? Azure seems to me like the safest offer between the compact Bentley creations line. Certainly it was made for whom enjoy sport or aquatic fragrances, e maybe due this it follow the rules of this genre, which make it difficult to be a composition that stand out, but certainly seems like one thas been properly done inside the contraints of this genre. Azure opts for a combination of citrus, a light tea aroma and a violet leaf instead of a properly aquatic aroma. The combination is refreshing and light, a subtle tea and violet leaf combination that reminds me of Gucci Pour Homme II in its second phase, after the hot tea and spices has gone. I like the pineapple note in Azure, it's not loud but it's not absent either - it seems to develop in parallel with the soft citrus and tea structure, adding to it a pineapple aroma which seems more fresh and less ripe than the common interpretation of this fruit. Azure develops at its final phase into a mineral, ambery soft aura, something that could be very well musk and discreet use of ambroxan. It's more of a fragrance to wear daily, going towards a second skin fragrance. It's not enticing, but also doesn't seem to disappoint and it does what it propose to do. The most worst choice i ever made to buy this cologne i never like it just throw it away.